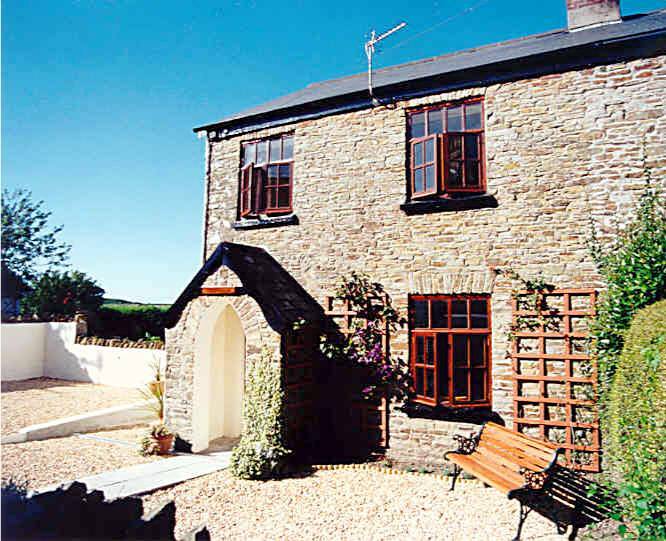 Quaint Smithy Cottage is a lovely cosy holiday cottage at Abbotsham near to Bideford in North Devon. Originally the village blacksmith's home, Smithy Cottage dates from the mid-19th century and retains period charm with modern comforts. This quaint cottage is tucked away in a quiet country lane in the pretty village of Abbotsham. A romantic, cosy retreat near to open countryside, the accommodation is ideal for special occasions such as honeymoons, wedding anniversaries and birthdays or for just a short break away from it all relaxing in front of an open fire. 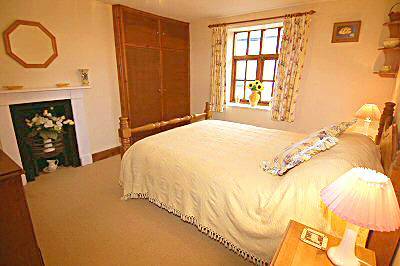 Smithy Cottage sleeps from 2 to 3 (two to three) plus cot. 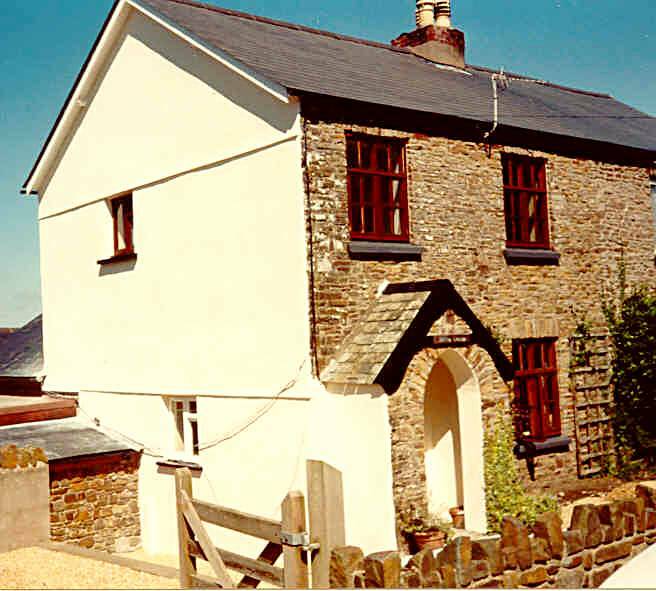 Stone built, slate-roofed Smithy Cottage is typical of traditional North Devon buildings. The pretty gabled entrance porch leads to the cosy living room where there is a comfortable settee and armchair, dining table and chairs,flat screen digital TV and DVD player. Relax in front of a roaring log fire in the large brick open fireplace (wood and kindling can be bought locally). Full central heating is available in the low season and is provided by a recently replaced gas combi-bolier and can be controlled by a thermostat in the living room. A selection of reading books, magazines and brochures of local attractions are also provided. 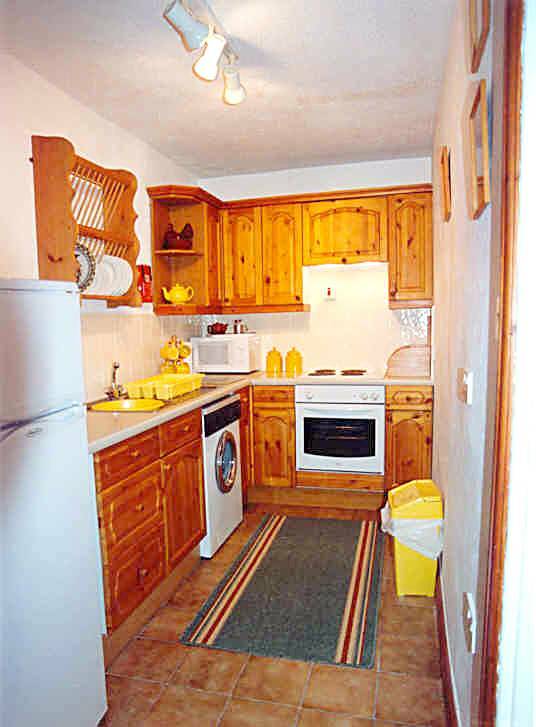 The adjoining kitchen is well equipped with microwave, electric hob (and oven), washing machine and refrigerator. Stairs lead to the attractive first floor landing. The attractive main bedroom has an antique style pine double bed and decorative Victorian fireplace, built-in wardrobe and clock radio. The second bedroom has a single bed and wardrobe. 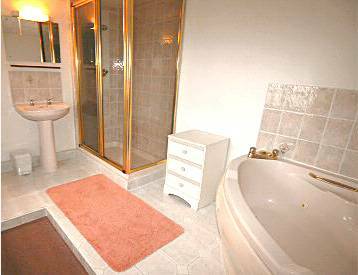 The spacious luxury bathroom has a large walk-in shower and jacuzzi corner spa bath. There are period broad plank, waxed pine internal doors throughout. There is also a tumble dryer. 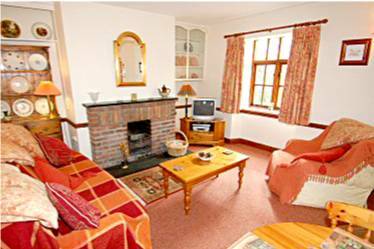 Bed linen and indoor towels, electricity, central heating and hot water are included. There is off-road parking on the gated gravelled area to the side of the cottage. You can sit and watch the leisurely pace of village life in the small gravelled garden area to the front of the cottage. Highchair and travel cot provided if required. Abbotsham nestles in gently rolling hills next to the spectacular north Devon coast near to the ancient trading port and market town of Bideford some 2 miles (3km) away. An excellent base for exploring Devon and Cornwall Smithy Cottage is only 1 mile (1.5 km) from the coast and the South West Coast Path. There are many interesting local walks and beaches to explore. Abbotsham has an ancient (C15th) thatched pub, post office / store and church about five minutes walk. The nearest supermarket is about 1 mile (1.5 km). Discover the breathtaking coastal and moorland scenery of north Devon & Cornwall with its fishing, smuggling and shipwrecking history. Explore secluded coves, some of the UK's most picturesque and often deserted beaches, quaint local villages and the quiet, winding country lanes with their characteristic hedgerows home to many wild flowers and wildlife. Take the MS Oldenburg on a day trip by sea from Bideford to timeless Lundy Island (Lundy is Norse for Puffin Island) or walk along the nearby 180 mile Tarka Trail (including 21 mile cycleway). Find some irresistible bargains at the many local markets and the nearby Atlantic Village discount outlets. Many thanks for a lovely two weeks - the cottage is lovely and a real credit to you.